For a group like ¡MAYDAY! that can seemingly crap out awesome material, it’s easy for gems to get lost in the shuffle. Worry not, we put together a list of ten songs that you need to welcome to your eardrums from the Miami music-makers. 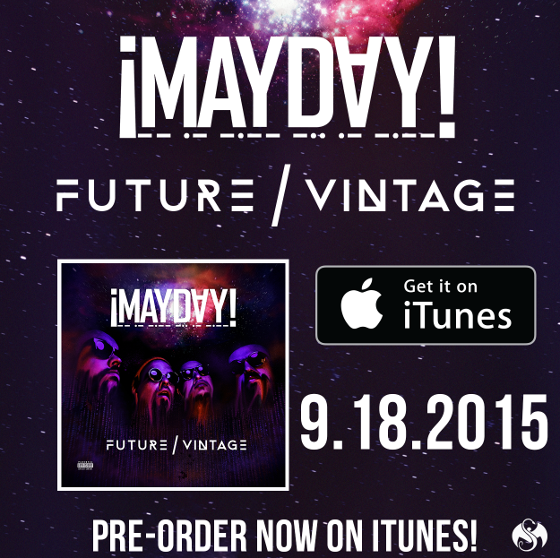 With Future Vintage on the horizon, it’s time we examine some of the songs that make up the extensive, prodigious and amazing catalog that belongs to ¡MAYDAY!. While the avid fan probably knows these tracks note for note and word for word, we feel that these are some that are not nearly as popular as they should be. Check it out and let us know what we got right/wrong in the comments section at the bottom. Drums don’t get any dirtier than this. “Padded Walls” is what happens when east coast boom bap takes a trip to Miami and puts its feet in the sand. Bernz and Wrek rip the gritty production by kicking flavorful cadences reminiscent of 90s hip hop, riffing off each other in the third verse, reminding us why rhyme duos can be the coolest thing ever. Sometimes songs just don’t fit the overall flow of an album and are fated to be hidden gems, living in relative obscurity. 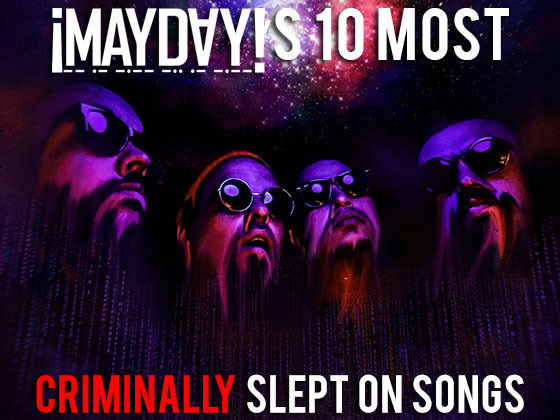 The fact that this wasn’t on Believers had to have been a thematic choice, because it’s one of the freshest songs that ¡MAYDAY! has ever put together: the incredible instrumental, the relatable subject matter and infectious hook all come together in one glorious package that you had to go to iTunes to hear. Maybe it’s because he’s always ripping verses to shreds, but Wrekonize never gets enough credit for being the brilliant rapper-that-sings dude that he is. Drake may be the popular choice for this title, but Wrekonize is criminally slept on for his songwriting ability and amazing sense of melody, and unlike Drake he can harmonize for days. We were just talking about Wrekonize’s hook-writing abilities, this remix of the popular “Highs and Lows” from Take Me To Your Leader is a great case study. What makes this laid-back remix even more amazing is how it does justice to the original song while retaining a freshness that’s completely its own. Freeway’s guest spot is an unrelenting barrage of rhymes that further highlights ¡MAYDAY!’s ability to pick awesome features. If you want to talk about amazing features, then this song is a necessary inclusion into that conversation. When you have Black Thought, Bernz, Wrekonize, Stevie Stone and Jay Rock laying down 8 bars of heat over this pounding instrumental, it’s a slice of hip hop heaven. However, despite all the fire that was spit before him, Jon Connor steals the show with his 16-bar ender, intertwining his hometown growth and his chase of the American dream into a shattering conclusion. Bernz and Wrek rip through one of the meanest instrumentals you’ve ever heard, 8 bars at a time. We love ¡MAYDAY! for their content: personal, relatable and socially relevant, but sometimes we just want to hear emcees rap their asses off, and they certainly deliver with “Stun Gun Stick Up”. Wrekonize’s verse immediately following the first hook is personified venom. This is what cool sounds like. A sultry, breezy and funky instrumental fuels reminiscing from the part of Wrek and Bernz. Over what sounds like the coolest night in Miami, the rhyme duo recalls flames of the past. The most notable thing about the production is that drum pattern: if you’re not nodding your head then somebody should call the coroner. A succinct dissection of the disaffected, “Letter To The Lost” is a generational ode that’s unfortunately all-too-relatable for millions of youths wondering wtf to do with their lives. Over a mournful, haunting, but undeniably groovy instrumental, Wrekonize pens his letter to the lost, while Bernz laments the personal alienation he feels with success in the metropolis. Bernz’s talent for literary descriptive and evocative rhymes comes full force in this rollicking song from Lords of the Fly. The subject of Miami’s hustle-bustle fits in perfectly with the uptempo, frenetic pace of the instrumental, resulting in a chase scene of a track. Wrekonize’s self-ascribed obsession with lucid dreaming resulted in this beautiful number on Take Me To Your Leader. The instrumental deserves its own propers, featuring guitar interplay reminiscent of the best guitar duos in blues and rock and drum sounds that you can only get with a live drummer. Wrekonize pens a beautiful and haunting song that showcases his melodic mastery, a great mid-tempo number that chills you out without putting you to sleep.